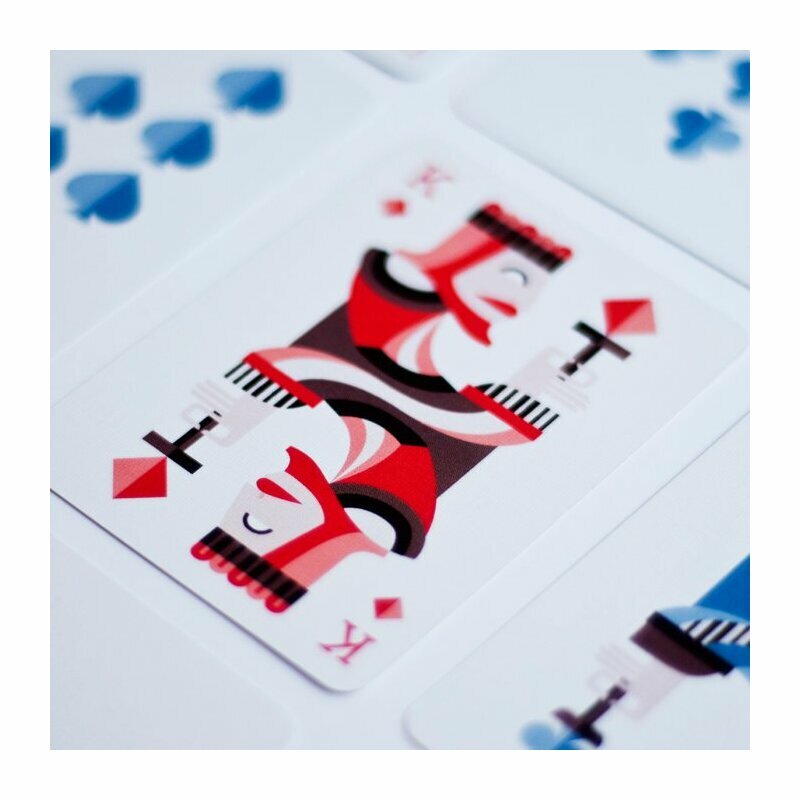 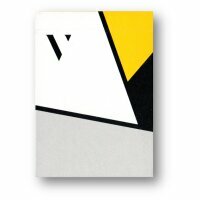 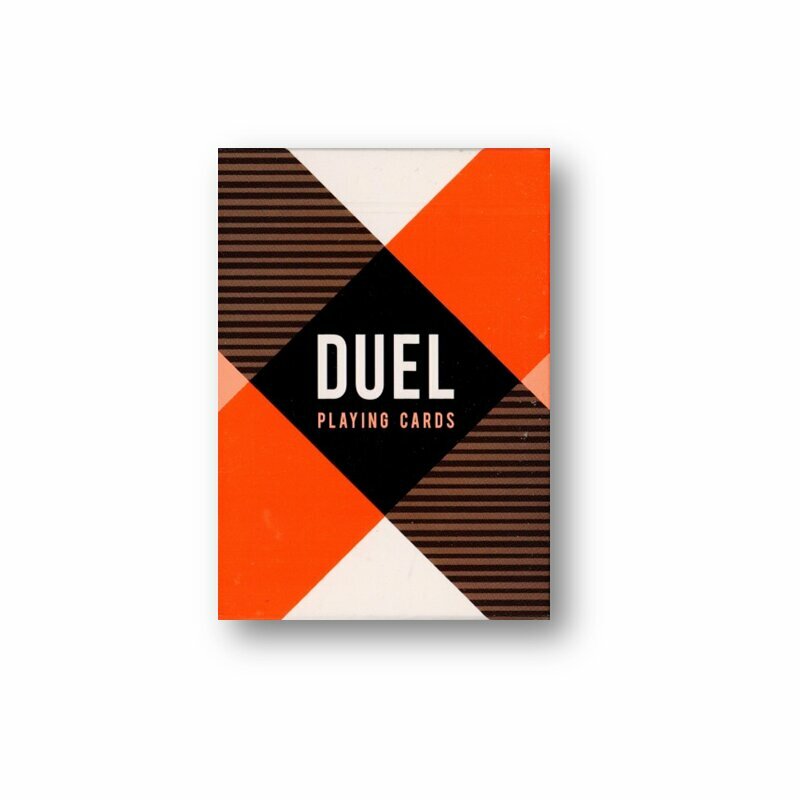 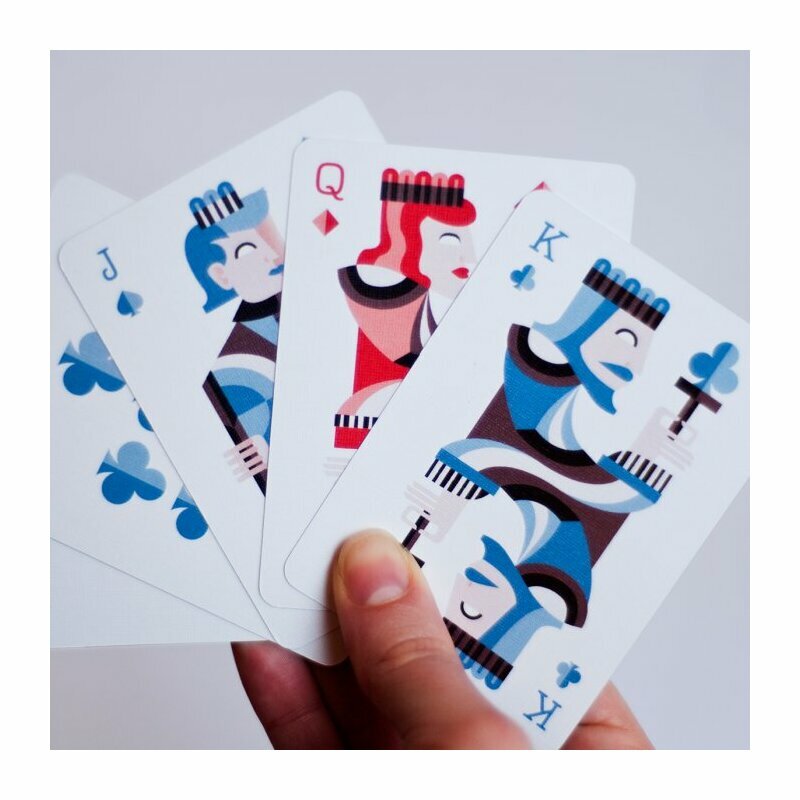 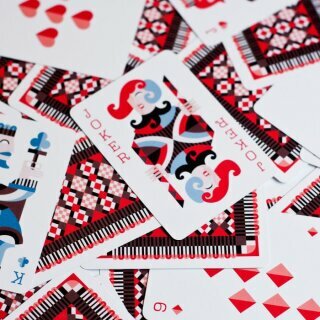 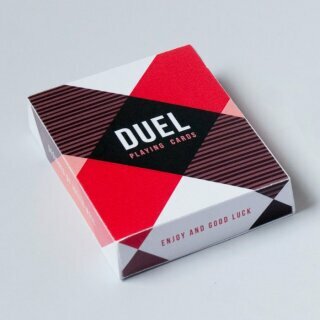 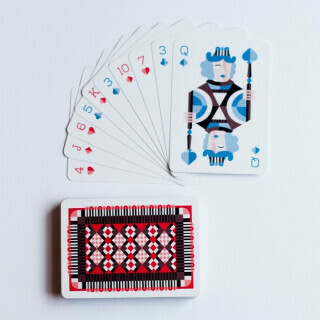 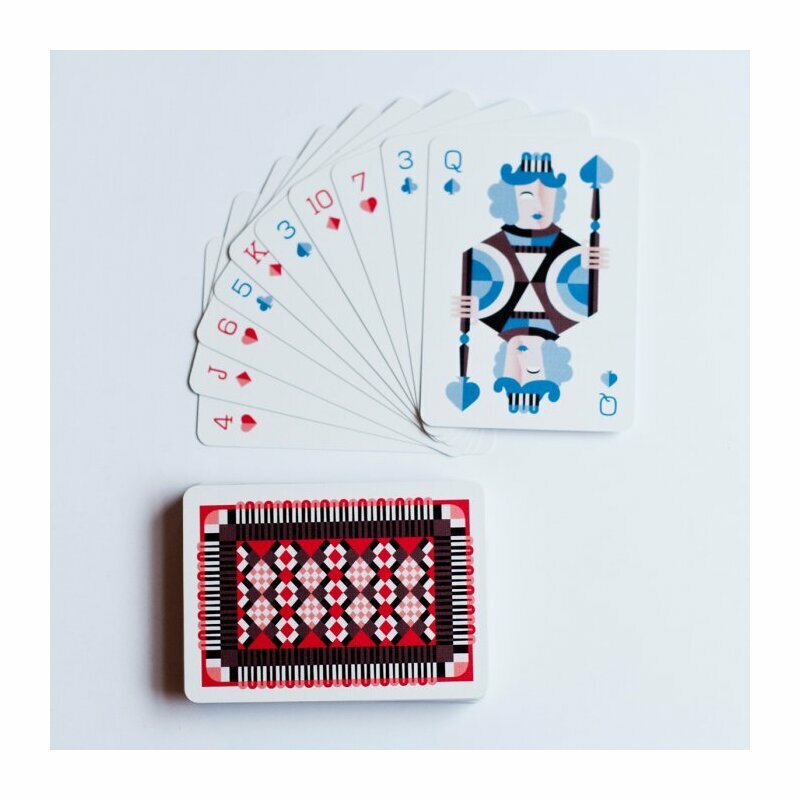 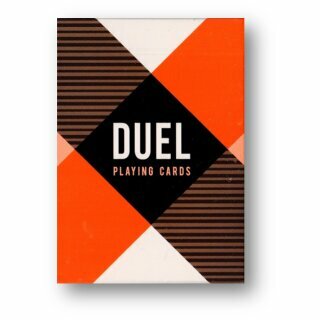 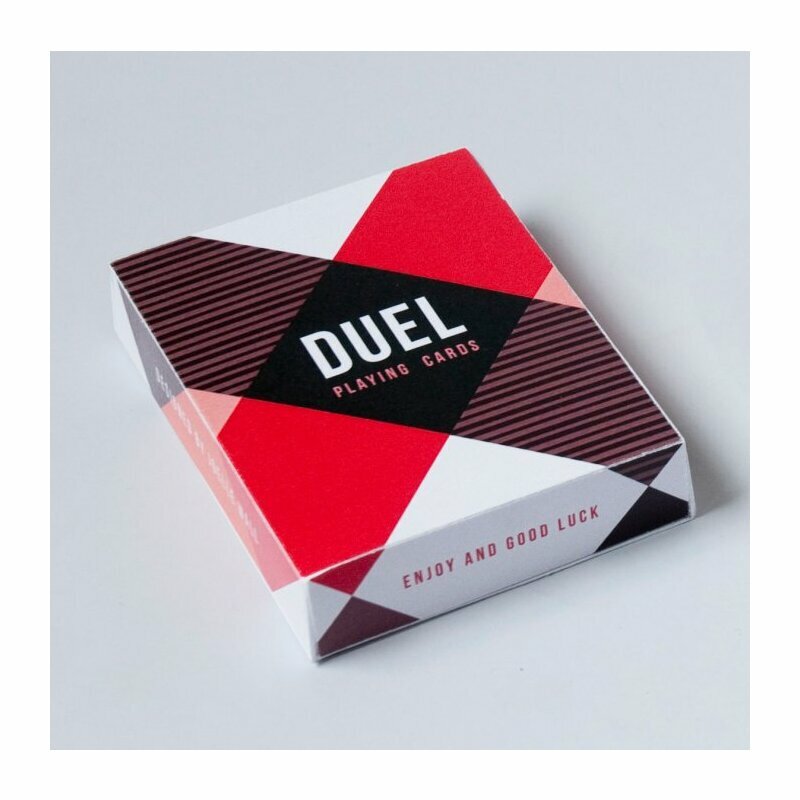 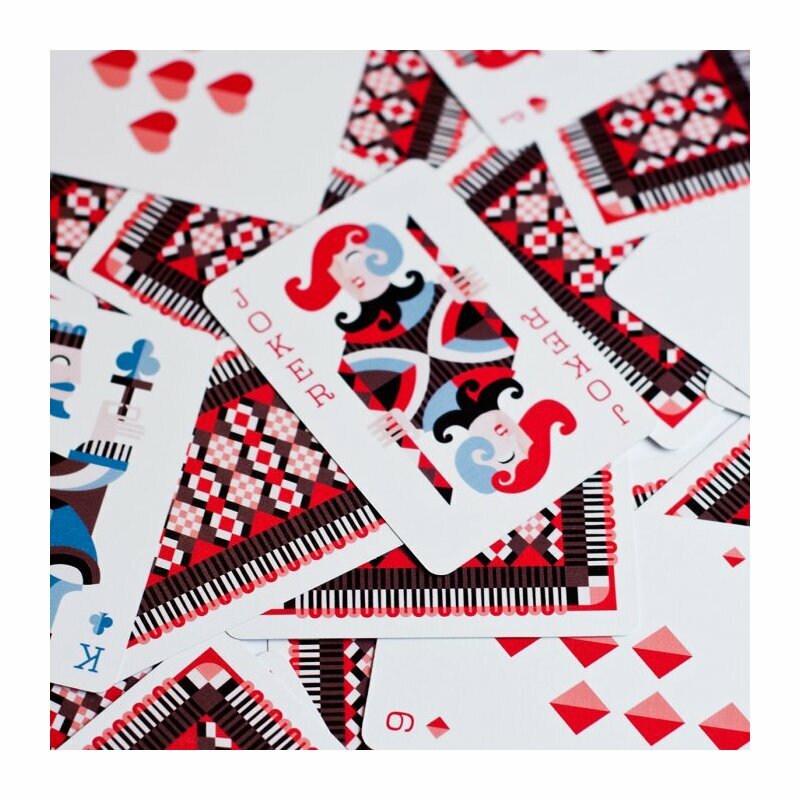 Duel Playing Cards feature illustrations and a back pattern inspired by harlequin design. 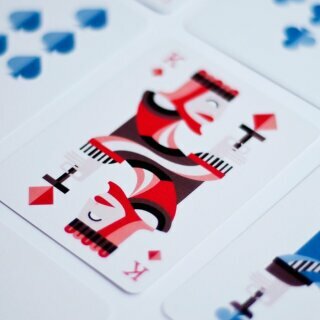 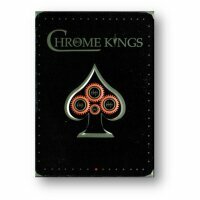 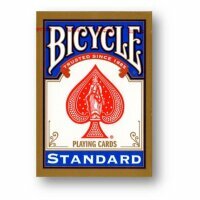 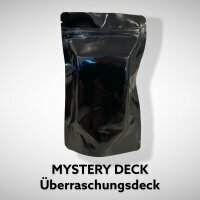 They will be available in a 2-deck boxed set of blue and red editions. 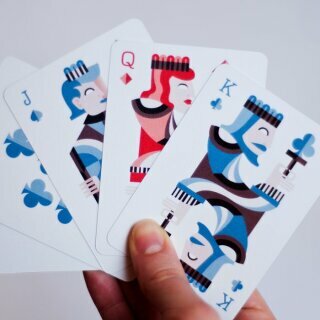 Designed and illustrated by Joelle Wall.